We manage your TFS platform regardless of the physical location: on-premise, cloud-hosted or on the Microsoft infrastructure. At PRAKTIK we understand that every organization is different. There is also no one-size-fit-all solution. We tailored our offerings to meet demand. And yes, you will also get your own personal TFS expert, ready to answer any questions. For companies that want to outsource the management of their on-premise TFS or VSTS platform and realize the full benefits of DevOps. Best for teams that want to adopt VSTS. Onboarding, migration and on-going support . On-demand access to a Team Foundation Server expert. 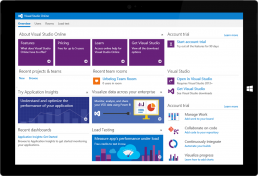 Best for teams where VSTS is not an option. A dedicated cloud-hosted TFS instance with full-control. Available on the PRAKTIK private cloud, Azure or Amazon.